The Cabin Cruiser travel trailer by Gulf Stream RV allows you to cruise down the highways and byways in comfort all while finding adventure where ever you dock. These models were inspired by yachting but made for land lovers. These lightweight units feature a welded tubular aluminum frame, vacuum-bonded laminated fiberglass sidewalls, and a one-piece vinyl roof. 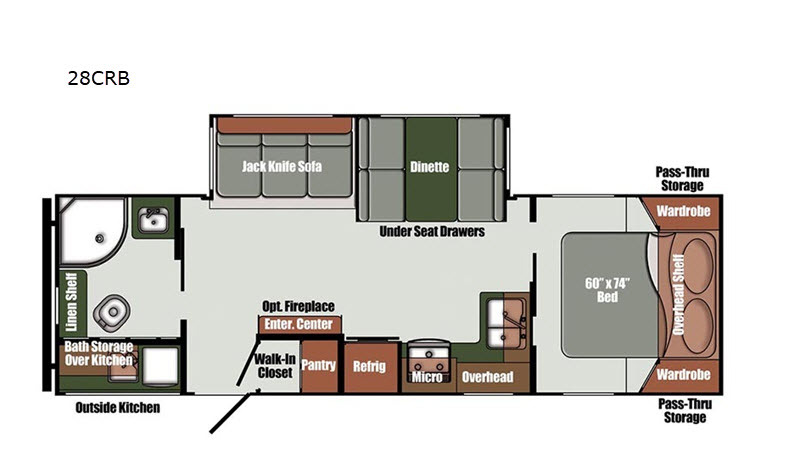 With each trailer you will enjoy the Knotty Pine interior cabinetry and paneling, an electric awning with LED lights, and the Bluetooth home theater stereo with speakers to make you feel right at home. 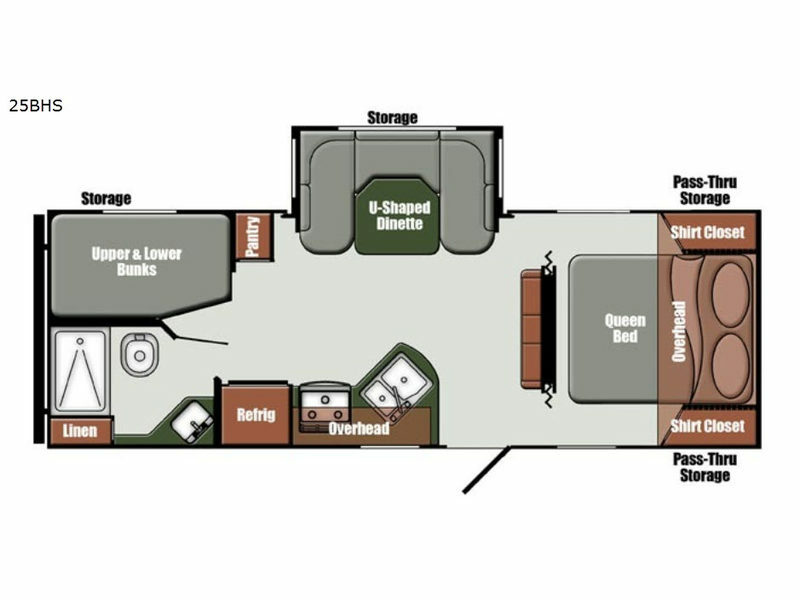 Choose your favorite Gulf Stream RV Cabin Cruiser travel trailer today! Gulf Stream, a leading manufacturer of a full range of RV products was founded and is still owned by the Shea family, originating in the small community of Nappanee, Indiana in 1971. Founder Jim Shea Sr. was inspired by the quintessentially entrepreneurial spirit of Elkhart County Indiana, and was particularly to the heritage of craftsmanship found in Nappanee, where ties to Amish and Mennonite traditions of handcrafted furnishings and homes were still strong. Back then, the family operation consisted of manufactured housing (Fairmont Homes). Jim Shea built the operation from the ground up. He ran the show and his sons joined him learning the business through good old fashioned hands-on experience. In 1983, the Shea’s established Gulf Stream Coach producing a top quality line of motor homes, travel trailers, and fifth wheel trailers. 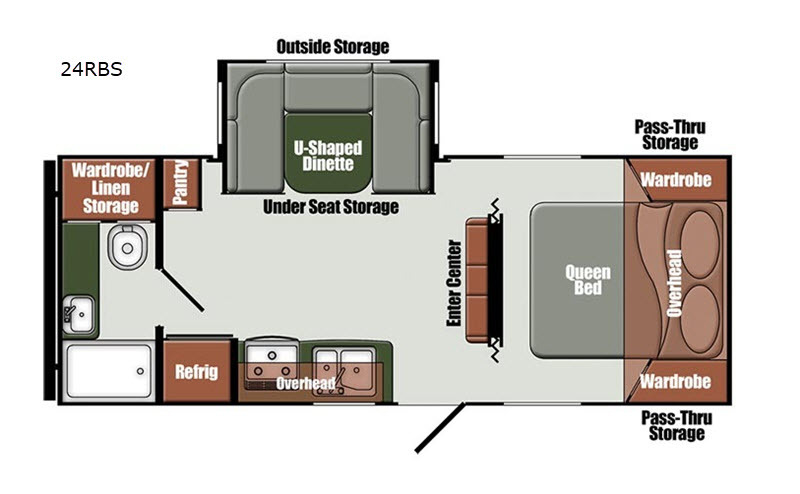 Gulf Stream’s first RV, the Foxfire travel trailer, benefited from techniques that had made their housing company successful. It allowed Gulf Stream Coach to put things in the Foxfire that weren’t seen in travel trailers. Today, Gulf Stream Coach is the industry's leading family-owned, family-operated RV manufacturer, encompasses 22 brands with over 140 different models — all brought to you by the efforts of more than 1,500 dedicated associates. Over its history, the company has produced almost 300,000 recreation vehicles, contributing to the well-being and family fun of hundreds of thousands of people across the US and Canada. It's common to find the Shea family at RV shows and campgrounds, enjoying Gulf Stream products, and interacting with customers, identifying features they consider important, bringing those ideas back to the Gulf Stream Coach team. The family links run deep at Gulf Stream, among the skilled craftspeople who build the product, through the family-based management, on to family-based RV dealerships across the United States and Canada, and finally, to the families who buy and enjoy Gulf Stream Coach products. In today's world where huge corporations work to satisfy stockholders and financiers, the people at Gulf Stream Coach are dedicated to make families - ours, dealers, and owners - happy and proud.